More than family portraits. I also try to focus on catching families and couples unposed, in the 'real' of their life. After the birth of my son, I realized what people generally remember about each other are the small details- the candid simplicity of life. Lifestyle photography is a genre that really speaks to the kind of work I want to provide a family-the art of the everyday. I like my sessions to take place in your home, or at a place that is familiar, where the story of your family take place. For older children, I like to get outside and let them play. I do not generally run mini-sessions or back-to-back sessions. This allows me to take time with your family without you feeling rushed. I provide 20+ high resolution retouched digital images with each session, with a preference of quality over quantity. When working with children- Though I may provide general direction throughout the session- I find the best photos are often those that are unposed. To get them comfortable for the session-I ask them to tell me about their toys, to read their favorite book with their sister, to jump on the bed with mom and dad, to explore their backyard. It's those moments that I find capture the wonder of childhood. For newborns- I typically photograph your baby 10-14 days after birth. The work that I do for newborns is purely lifestyle. I focus more on the interaction between parent and child/sibling and new baby. 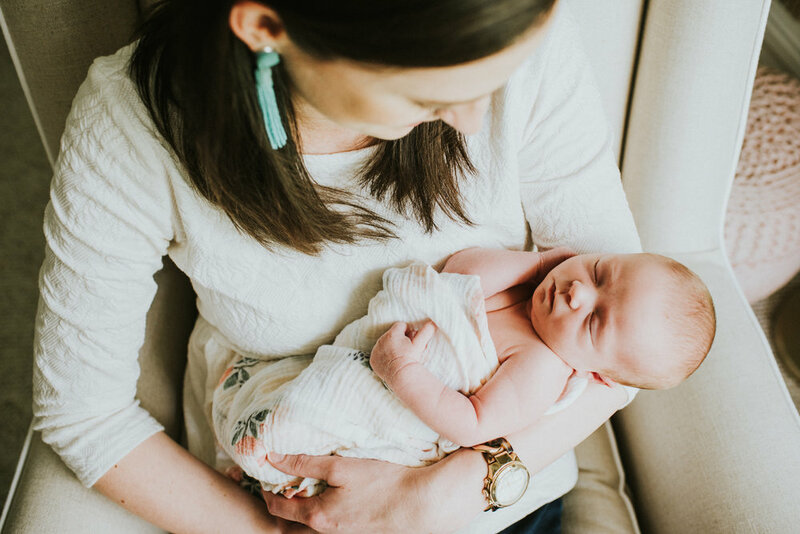 I do take photos of the baby by themselves but I forego unnatural posing and props and usually simply swaddle the baby on a chair or the bed, or in the best and most natural place- your arms...Newborn photos are all taken completely in natural light in home. It is recommended that at least one room in your home where you'd like to have photos taken have abundant natural light.